this will be my project page for all of the diagonal dishcloths that I knit in 2011. I increase up to 50sts for washcloths used in the bathroom. 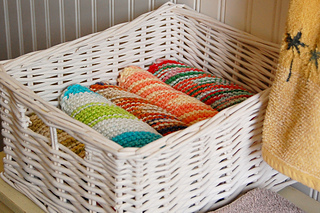 Also have a project page for 44 sts dishcloths that used in the kitchen.